I’m very excited. After searching for a year, I’ve at last bought an SCO Long John. On my Long John, the frame number S29050J is stamped on the cross bar at the seat end. According to the Long John website, the S prefix denotes the manufacturer SCO (Smith & Co) of Odense, as above. The J suffix makes it a 1972 model. Below you can compare the old-style Long John with one of the new models made by Velorbis. Baby Delphy is still too small to fit into the basic size of cycling helmet, so, ironically, with all these wonderful vintage bicycles to use, I can’t take her out on any of them. But the Long John is ideal for fitting a box and car seat in its cargo area. Now all we need is some good cycling weather. The Urania has now arrived. I took it round to Stanmer for a photo session. I’ve since replaced the saddle with an excellent Dutch one. Actually, no man should own more than one Long John. It’s indulgent beyond belief. Nevertheless, I came across this second one and I couldn’t help myself. It’s totally roadworthy (I’ve still not got round to doing any of the work on my Urania). I’ve not yet looked for its frame number to identify the age and manufacturer, but thanks to the superb page on www.longjohn.org that provides the necessary information (reproduced below) I hope it will be easy. 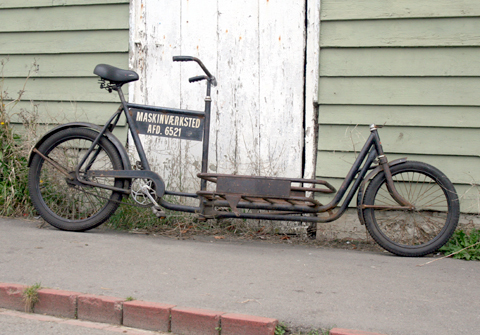 I’m not sure if Magistron is the name of the manufacturer or of the patent for the front end, but that’s the only name I’ve found on the bike. Most Long John owners would like to know age and manufacturer of their bike. 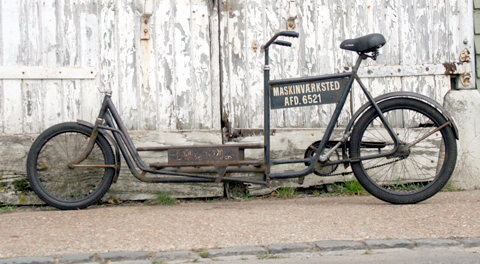 On Danish bikes you´ve got a good chance to get this information by analyzing the serial number. 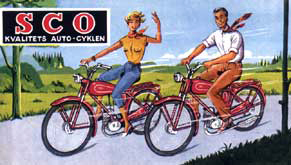 In 1942 Denmark introduced a nationwide sytem of serial numbers for bicycles and mopeds which encodes both the manufacturer and the year of manufacture. Other popular locations for serial numbers on bicycles are under the bottom bracket and on the rear drop-outs. 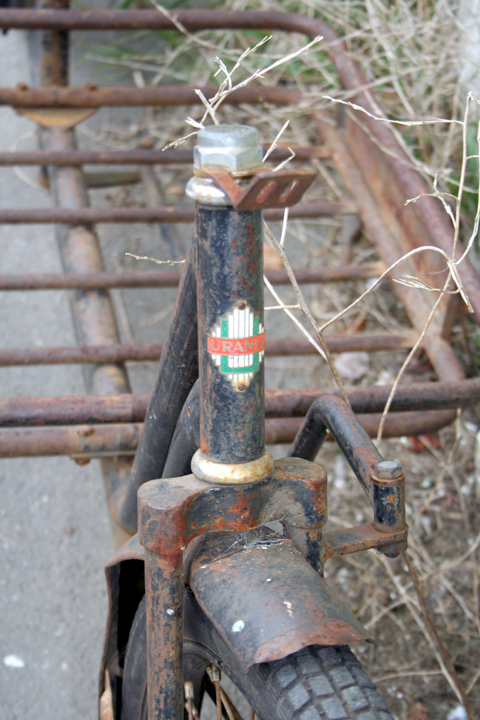 Serial number on the seat tube of a 1955 SCO Long John. imp. 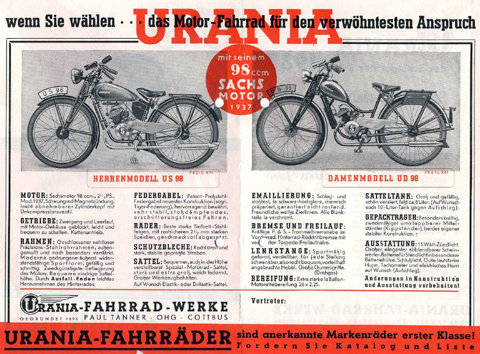 : Imported bikes (not made in Denmark) are marked with “W”, otherwise this field is left blank. 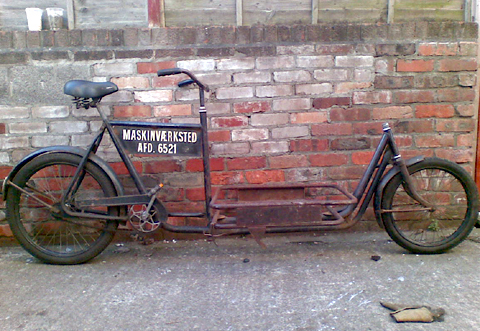 Note: Serial numbers of Danish bikes built before 1942 don´t necessarily meet this specification. 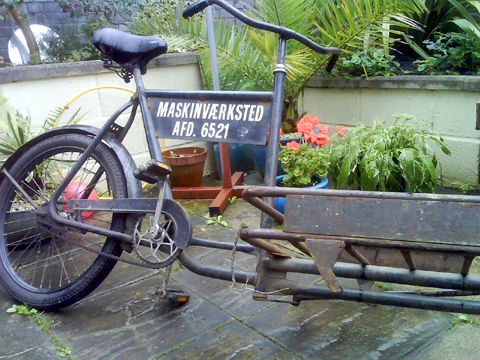 The same applies to Monark Long Johns produced for the non-Danish market. The letter Q was only used once (in 1956). The letters “O”, “I”, “W” and “Y” have been completely dropped, mainly to avoid confusion with similar letters and numbers. As you see from the table, a single letter code can match up to four different years. For a correct assigment of your year code you´ll need at least a rough idea in which decade your Long John was built. The Long John frame guide might help you to identify the production period of your frame.